Love this Fendi boys navy blue knitted sweater in a sporty, varsity style made from a soft wool and cashmere mix. It has an 'FF' logo logo on the front in yellow towelling and stripes on the sleeves. Complete the look with a pair of comfy grey fleece pants, Fendi scarf and high-top sneakers. 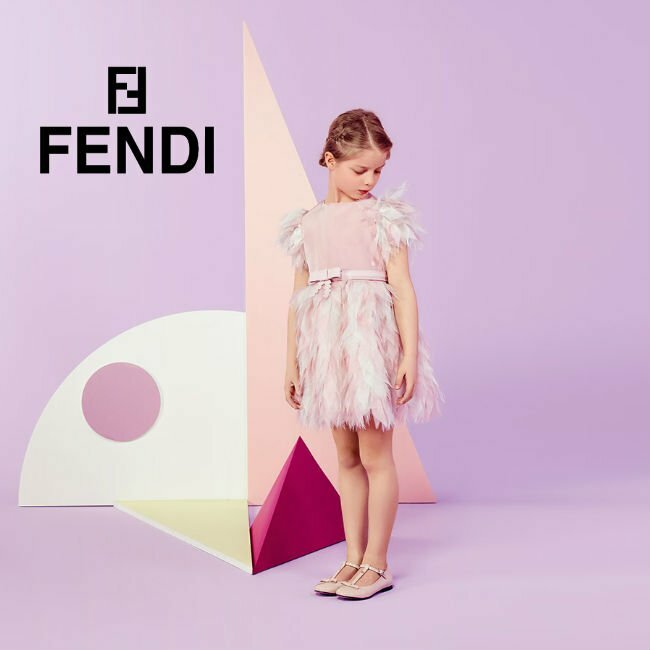 Adorable Mini Me Look Inspired by the Fendi Men's Collection featured on the runway at Milan Fashion Week. Ships Worldwide.